We recently announced the availability of one of our most frequently requested features, the ability to invest in Groundfloor loans via self-directed Individual Retirement Accounts (“IRAs”). That’s exciting for two reasons. First and foremost, opening up investing with Groundfloor via Individual Retirement Accounts is an important milestone toward fulfilling our purpose. Merrill Lynch and AgeWave recently found that one-third of Americans have nothing set aside for retirement, and another 23% have less than $10,000. You don’t have to be a financial advisor to know that's not enough. Why don’t people have more? It certainly isn’t for a lack of options. Many just don’t have the expertise to navigate public markets and don’t trust the intermediaries who would do it for them. Developing the discipline to save your money is hard, but it’s even harder for those who feel that investing is too complex or that the system is rigged against them. We started Groundfloor to solve those problems by taking private lending public. Our unique offering, the only one of its kind in real estate to be qualified by the U.S. Securities & Exchange Commission, allows everyone to invest directly in private loans with attractive returns. For the first time ever, with Groundfloor you don’t need to be a wealthy accredited investor to participate and earn high yields on favorable terms. Accredited investors also appreciate that we offer the only publicly accessible and regulated way to participate with full disclosures and compliance behind it. There’s no fund manager taking a big chunk of your profits here. Our investors build their own portfolios. We make that as simple and fast (and profitable) as possible. Now, with the launch of our IRA investing, all of that goodness is available with the benefit of tax-advantaged retirement investing. We hope that for millions of people this will be refreshing, motivating and encouraging — enough to kick their retirement savings into high gear. This also means we can start solving a critical societal problem together, one do-it-yourself retirement portfolio of private real estate micro loans at a time. Second, we’re excited about this news today because of what it represents. Groundfloor has come a long way. Back when we started in 2014, we offered just 20 loans for $1 million over that first year. Two years later, in just one month (December), capping off a momentous 2016, we offered 40 loans for $4.5 million (that’s over four times as much in one twelfth the time). This is important because we didn’t build Groundfloor to funnel big dollar investments into meeting a funding goal for any particular loan, but to enable investors to build well-diversified portfolios within a given asset class. Our product and our operations have always been designed with this end in mind, and it’s working. Since increasing available loan volume, we’ve seen the average investment per loan decrease to $450 from over $1,000, but the average total investment per investor increase to $2,500 per month. We’ve cheered this development. Our original vision is well on its way to being realized. The volume of loans we’re now offering is ready to support retirement investing, with the bigger account balances and broader allocation that comes with it. The administration of self-directed retirement accounts is complex. To help manage the process, we’ve partnered with IRA Services Trust Company as our first supported custodian. With 35 years of experience and the most advanced technology of all the alternatives we considered over the past year, we trust them to provide a reliable backbone for administering our investors’ most important assets. Starting today, we are gradually extending invitations to existing Groundfloor investors who complete this survey to indicate interest. Within 24 hours of announcing it, we already have hundreds of responses indicating many millions of dollars of interest. As expected, self-directed retirement investing is in high demand! Our first wave of participants will receive invitations this week. We’ll expand in the coming weeks as we continue to refine the investor experience and make process efficiencies to serve you well. We’re also working on increasing loan volume to accommodate the additional demand. 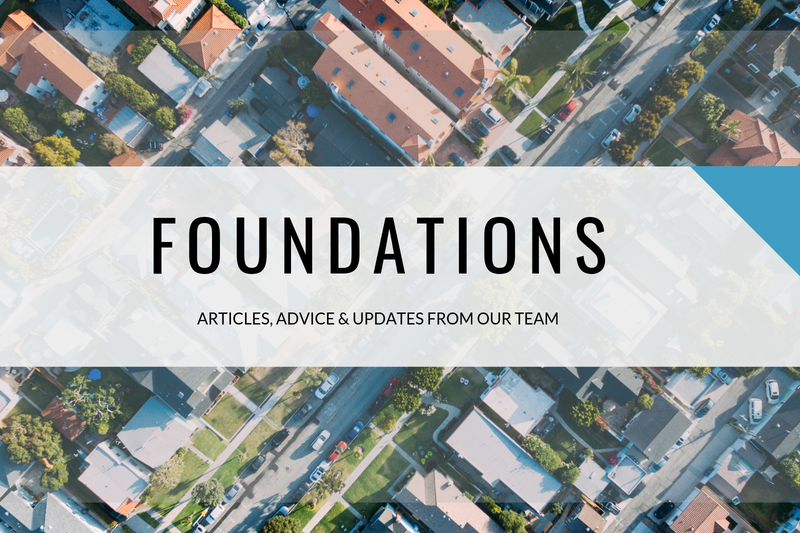 In the meantime, we welcome questions, comments or feedback via the comments below or via email at founders@groundfloor.us. Whether you’re new to retirement investing and looking for a way to start, or eager to reallocate a portion of your existing holdings, we’re here to serve you.